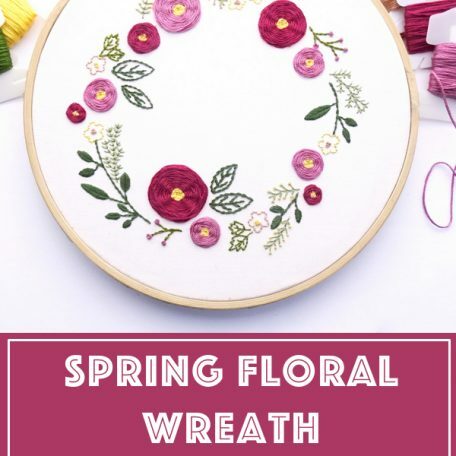 Celebrate spring with this floral wreath pattern featuring bright flower blooms, delicate vines, colorful berries, and bold foliage. 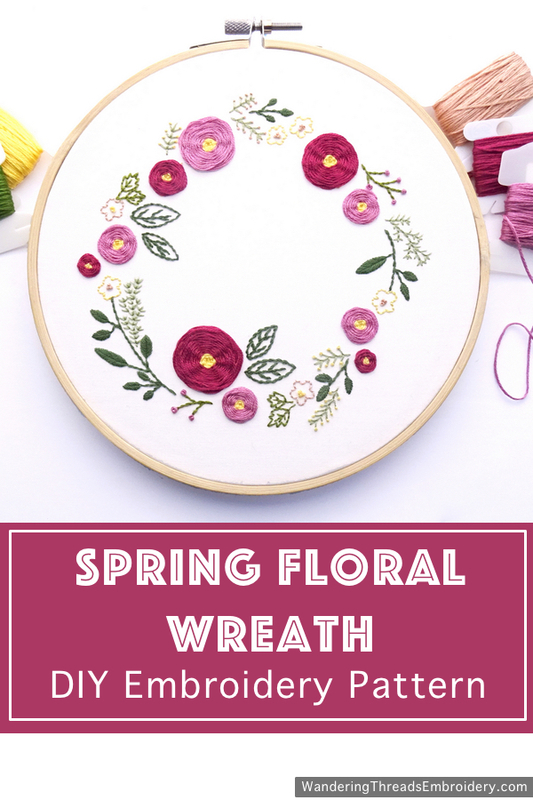 The PDF download includes the wreath pattern along with floss recommendations and stitching instructions. 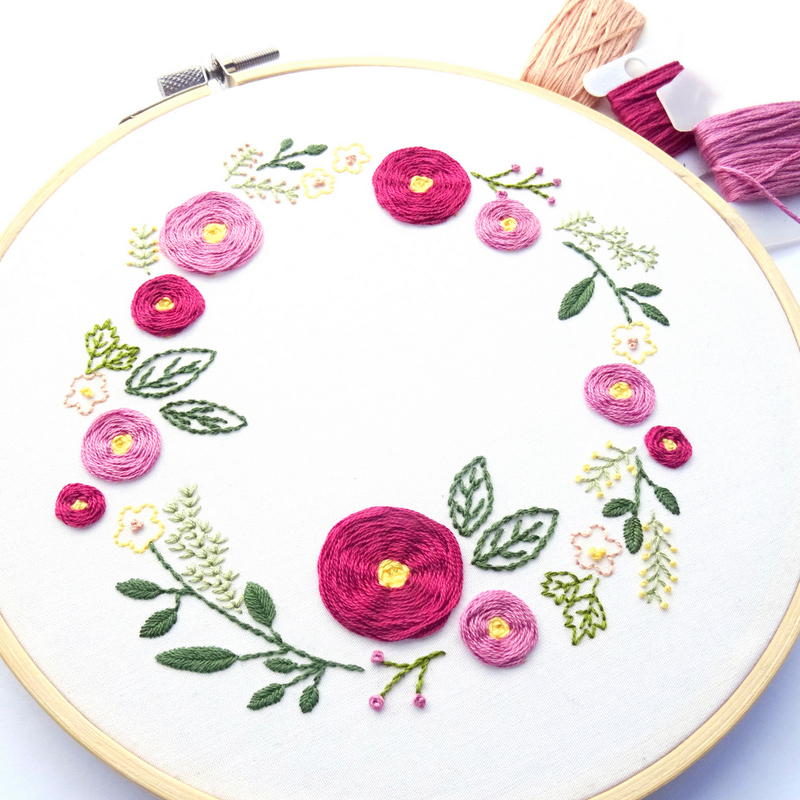 This pattern is suitable for beginners and experts alike! 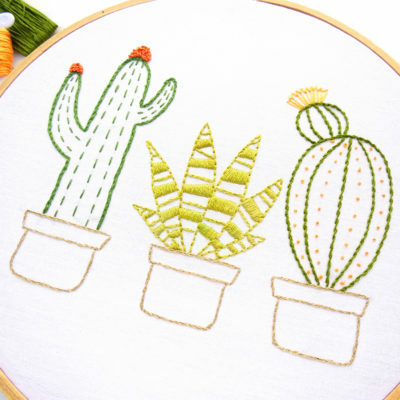 This one is for all the cacti enthusiasts out there! A fun, modern, and eye-catching pattern that features a trio of potted plants – no green thumb required. 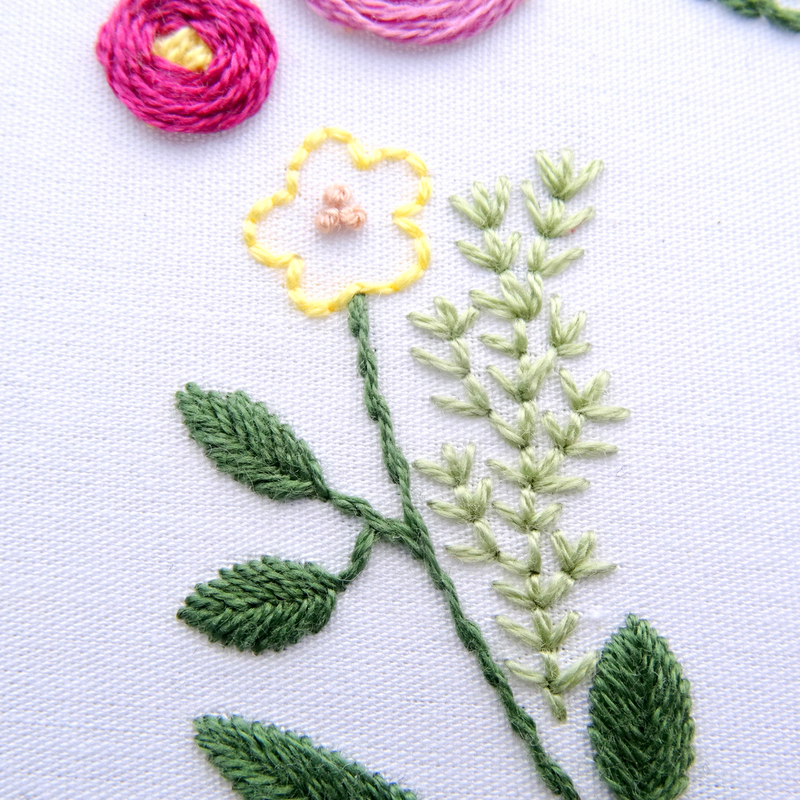 This pattern is great for beginners as it uses only a handful of basic stitches. Full instructions included along with a link for step-by-step embroidery stitch tutorials. Want to turn your cactus creation into a boxy tote bag? This design is also available as a combination embroidery + tote bag sewing pattern! 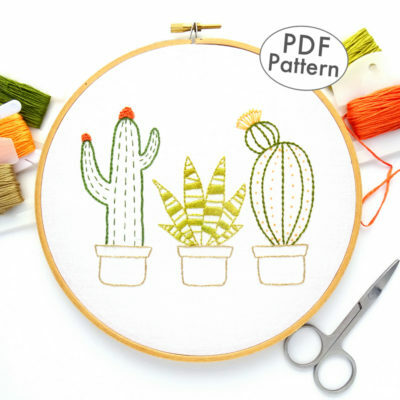 The Cactus Embroidery Tote Bag Pattern is the perfect project for taking your embroidery from fun to functional. Create lasting memories this holiday season with a set of three festive ornament patterns. 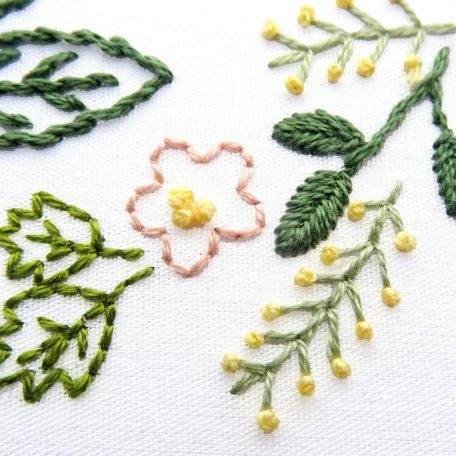 These 3-inch, simple to stitch, patterns are perfect for giving as gifts or decorating around your home. 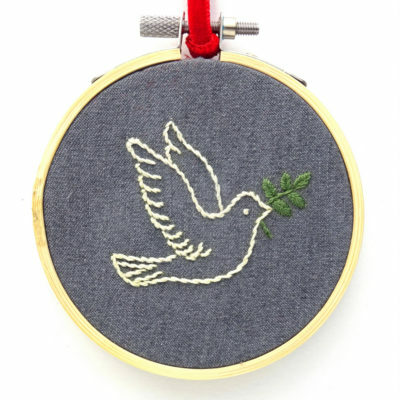 This set includes patterns for a peace dove, a colorful poinsettia bloom, and a tree adorned with bright lights. Each design is simple and suited for both beginners and experts alike! 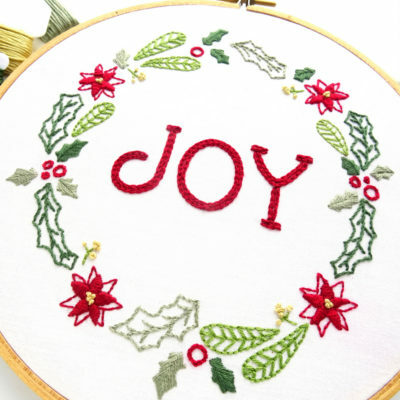 Looking for more embroidery ornaments? 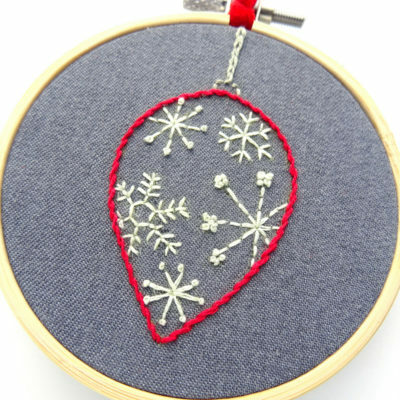 The Snowflake Ornament Set features three more festive patterns ready for stitching! Buy both sets for only $12 using the code Ornament at checkout. Create lasting memories this holiday season with a set of three festive ornament patterns. 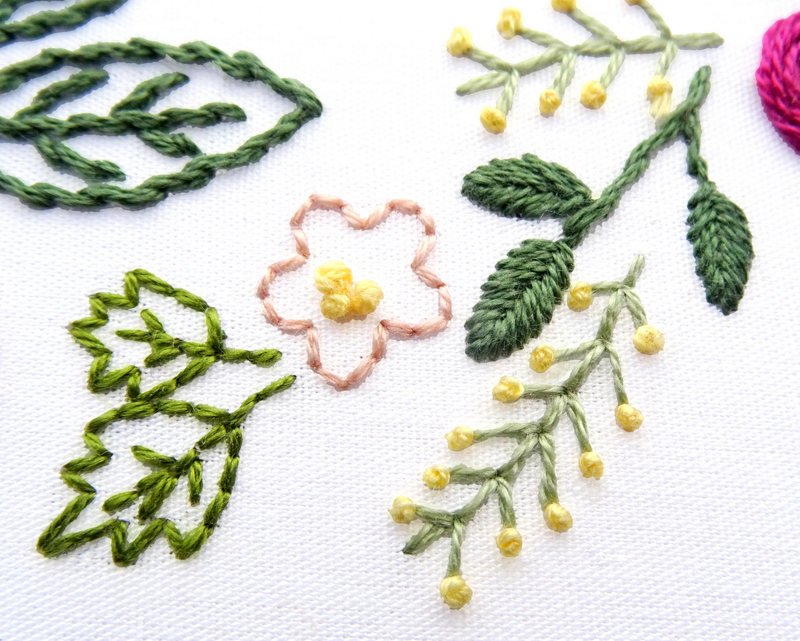 These 3-inch, simple to stitch, patterns are perfect for giving as gifts or decorating around your home. 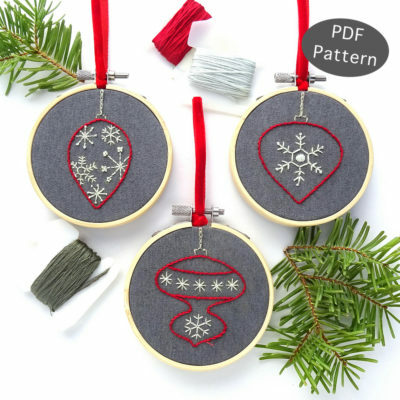 This set includes patterns for three unique snowflake ornaments in different shapes. Each design is simple and suited for both beginners and experts alike! 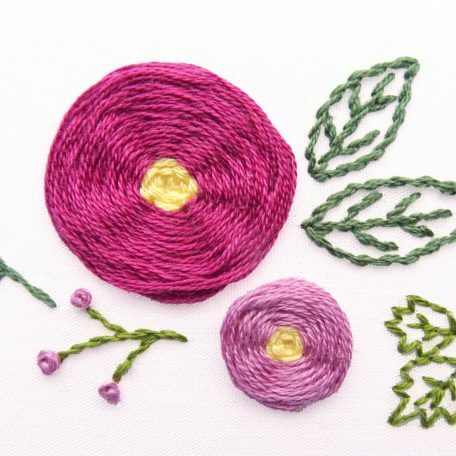 Looking for more embroidery ornaments? 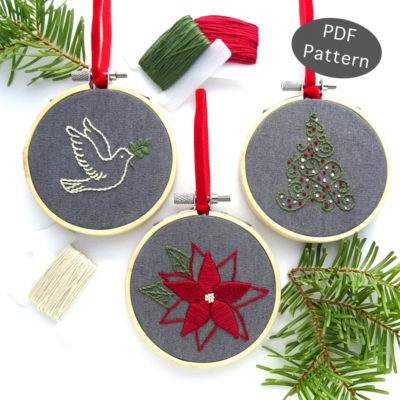 The Holiday Ornament Set features three more festive patterns ready for stitching! Buy both sets for only $12 using the code Ornament at checkout. 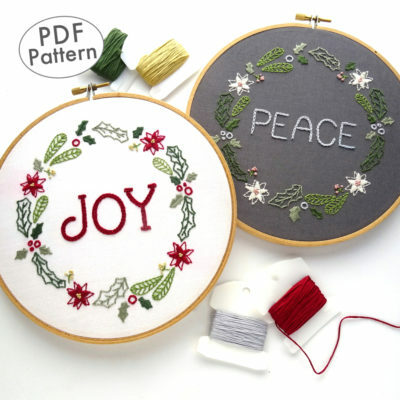 Spread good tidings and cheer this holiday season with two festive wreath patterns featuring sprigs of holly, bright poinsettia blooms, and colorful berries along with the message of peace and joy. 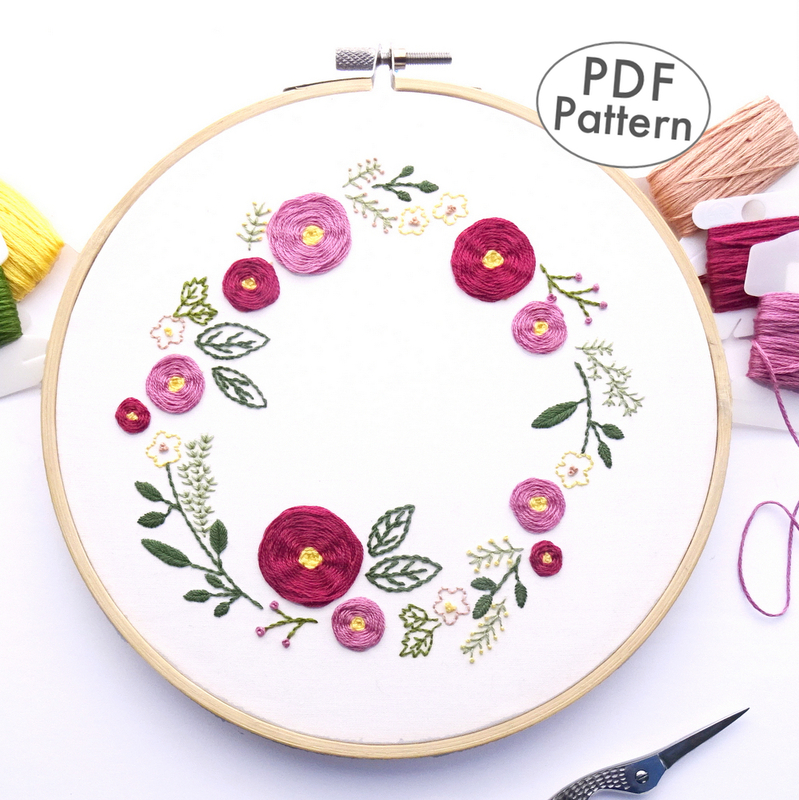 This digital download includes both patterns along with floss recommendations and stitching instructions. Who doesn’t love a meadow filled with wildflowers? 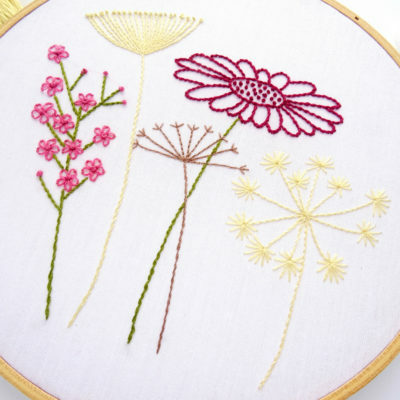 Stitch up this simple design featuring five unique wildflowers and enjoy year-round blooms! This is the perfect pattern for beginners as it only uses a handful of basic stitches. If you need to brush up on your stitches, the downloadable PDF includes a link for easy to follow step-by-step embroidery stitch tutorials. Want to turn your wildflower creation into a boxy tote bag? This design is also available as a combination embroidery + tote bag sewing pattern! 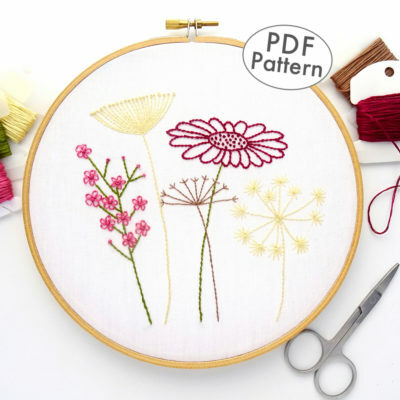 The Wildflower Embroidery Tote Bag Pattern is the perfect project for taking your embroidery from fun to functional.